After playing in the second Test, Peter Siddle and Ben Hilfenhaus were rested for the third and final match against South Africa and with James Pattinson injured, Australia went with a new seam attack of Mitchell Johnson, Mitchell Starc and John Hastings. Because of Pattinson's side strain, Siddle and Hilfenhaus bowled 67 overs between them in the second. 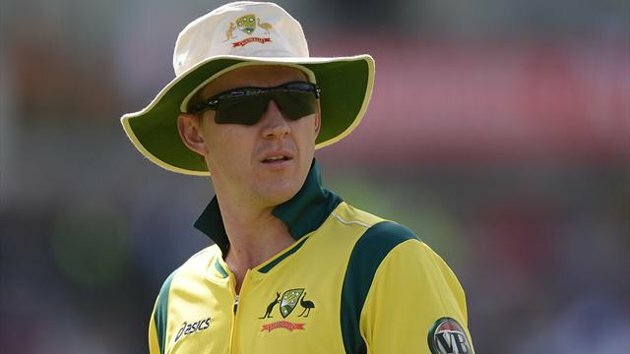 And Lee feels Siddle would have been disappointed to miss out on the final Test, and he said: "If I was Sidds (Siddle), I would have been blowing up. He bowled so well in Adelaide." He added: "They say it's because of back-to-back matches but that's Test cricket. It's nothing to do with the planning. "That's what Test cricket is about; a test of character, a test of courage and backing up within a couple of days. If you're Peter Siddle and you see Mitchell Starc come in and take a five-for, it makes for an awkward situation." The decision to omit Siddle was criticised by another former Australia bowler Dennis Lillee, who said he was far from convinced that the selectors made the correct call. "I reckon there's too much cotton wool ... with all the preparation they do going into Tests," Lee said. "Dennis has 355 Test wickets and they should listen to what he is saying. He's a class act and been my mentor for 20 years. "To be a fast bowler, you have to be a good athlete and a good runner; less time in the gym, more time out training and working on a guy's fitness. "Injuries can happen and you have to be so careful ... but there is a huge emphasis on guys doing their rehab as opposed to doing the actual hard work. "As Dennis has said, running is such a big aspect for a fast bowler and I would like to see a lot of young guys doing that."